The best part about crepes is their versatility, which is great because the batter makes lots of crepes. 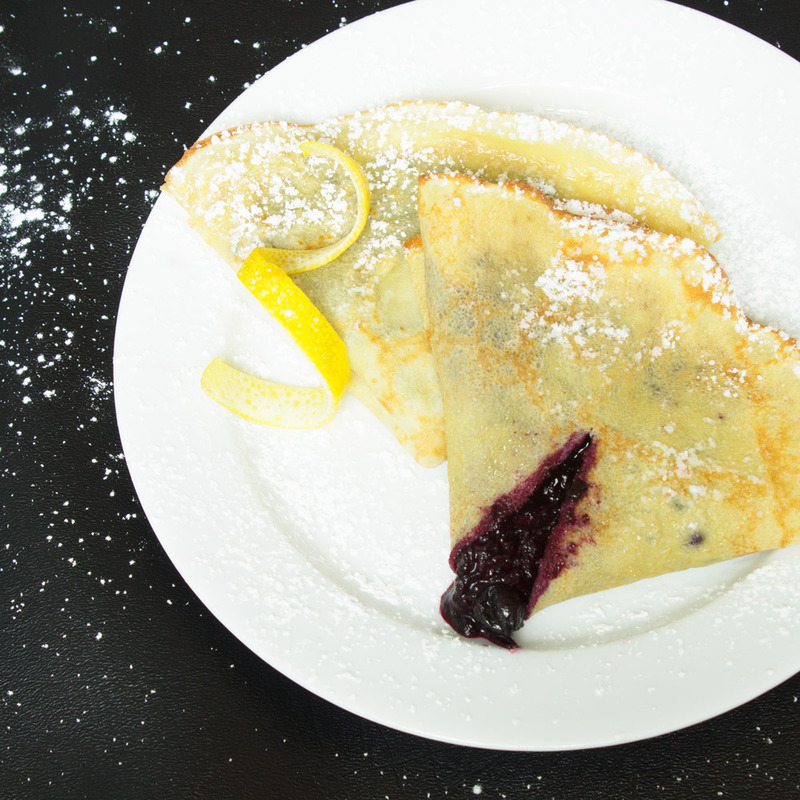 When we decide to make crepes we always make a savory and a sweet option. That way we have both dinner and dessert planned out. 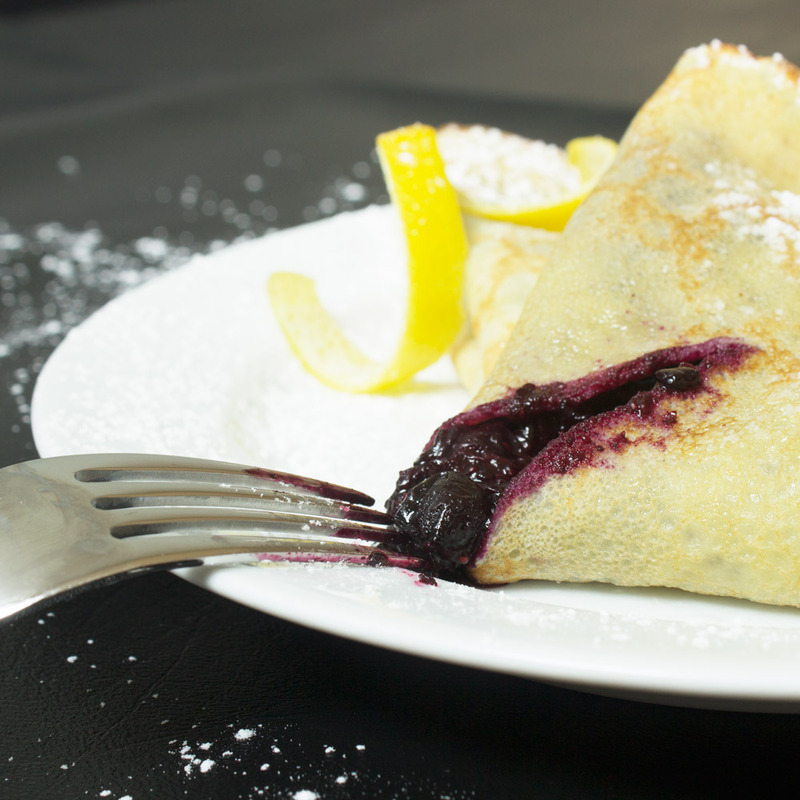 This is a recipe for our blueberry crepes, which are a perfect use for summer blueberries. The lemon juice adds a nice citrus flavor to brighten up this super sweet sauce. Who said dessert had to be boring?! In small saucepan combine 1 ¾ cups blueberries with the water, sugar and lemon juice and bring to a boil. Reduce the heat and simmer for 10-15 minutes, stirring occasionally. Add the remaining blueberries and continue to simmer for an additional 10 minutes. If the sauce looks too thick add an additional tablespoon of water or lemon juice, depending on your taste preferences. Let the blueberry compote cool slightly before filling the crepes. Dust with powder sugar and enjoy!